Putnam Ridge Walk To Fight Alzheimer’s! The Alzheimer’s Association kicked off Putnam County’s Walk to End Alzheimer’s on Mar. 2 at Putnam Ridge in Brewster with a new committee and location. An increase in the number of participants has sparked the necessity to move the walk to a new, larger venue that has more space to accommodate the growth at the beautiful Putnam County Veteran’s Memorial Park, located at 201 Gypsy Trail Road, Carmel, NY, on Sunday, October 15, with registration starting at 9 AM. The new committee this year consists of Putnam County’s Walk Manager, Venessa Samuda, with Denise Kuhbier as Walk Chair, and many new and returning members. They anticipate a very dynamic and improved structure that will align the local walks with other’s around the country. The event will enjoy entertainment, activities, free snacks and much more. 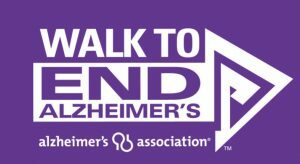 Each year, walkers unite in the nation-wide movement to bring awareness and critical funds to support loved ones loving with Alzheimer’s disease through support and research. Putnam draws over 60 teams and 300 walkers and who come together with critical funds to join in the fight against a disease that affects local families and their loved ones. Alzheimer’s disease is the sixth leading cause of death in the U.S., with more than 5 million living with the disease. If you are interested in becoming part of the committee, or to start a team, please visit http://act.alz.org and search for Hudson Valley, or call the Chapter at 845-471-2655.